We Have UCLA Gymnastics Meet Tickets! The Klub Gymnastics’ to Sell UCLA Gymnastics Tickets for Saturday, February 16th, 2019 Meet. 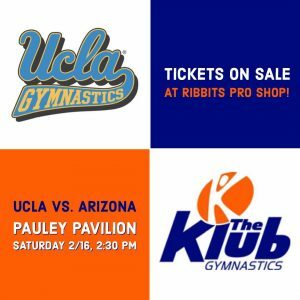 LOS ANGELES, California; February 11th, 2019 – The Klub Gymnastics is selling tickets to Pauley Pavilion to watch UCLA compete against Arizona! Tickets are on sale in our pro shop Ribbits for $2 each (limit 4 per family). $1 from each ticket sale will go to fund the TKG Competitive Team Travel Fund! Quantities are limited, come to Ribbits to get yours today! More information regarding the meet and UCLA Gymnastics can be found HERE. Our recreational gymnastics program will not only be FUN for your child, but will assist in developing athletic skills, flexibility, balance, coordination and discipline. The Klub Gymnastics mission is simple: To have all kids gain Strength, enhance Self-Esteem and achieve Success. This is reached through positive motivation, encouragement, effort and fun! 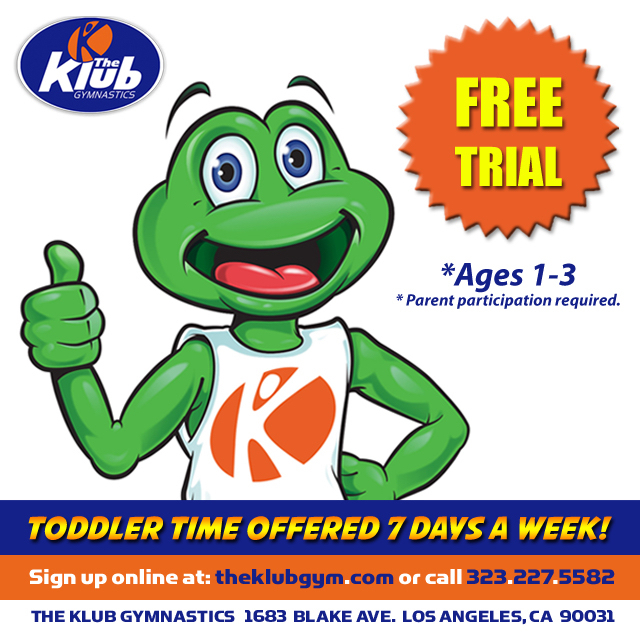 The Klub Gymnastics will bring out the best in your kids “one cartwheel at a time.” Your first class is always free! (*Free trials not available for Adult Gymnastics & Adult Ninja.) Download our free app (available for iOS & Android)!